Beautiful interior shutters that will enhance your home. Full range of blinds for all windows and situations. Curtain poles for every situation, including tricky bay windows. Got your own poles, tracks, or blinds? 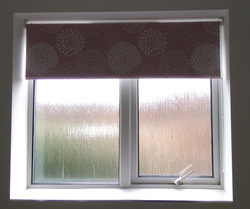 No problem: I offer a clean professional fitting service and can hang and dress your curtains so they look beautiful.